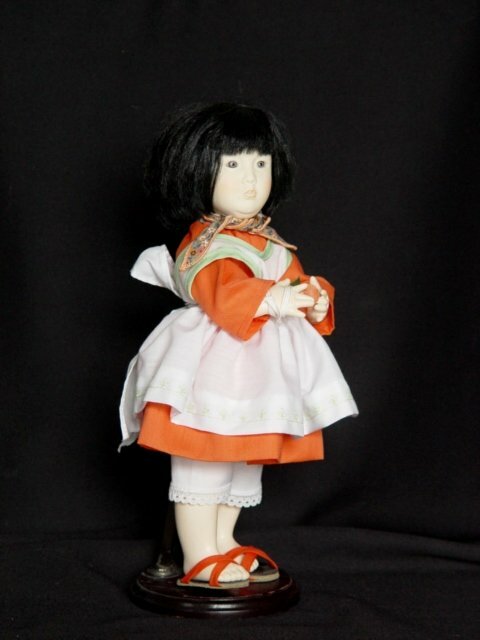 Lotus Blossom is a lovely 13 inch all vinyl doll with joints at the neck, arms, and legs. 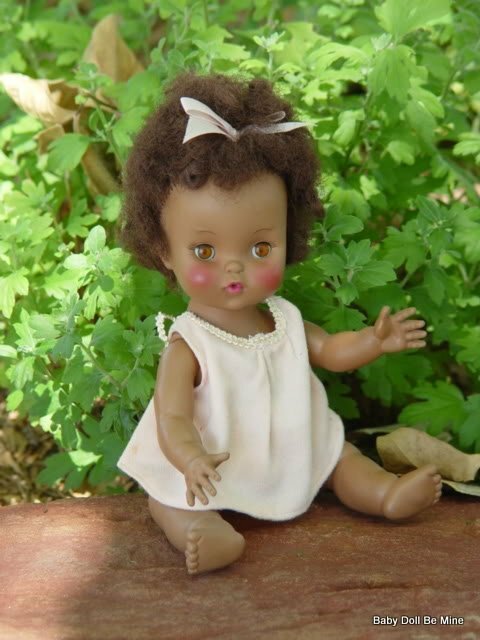 She has black hair and brown hand painted eyes. She is wearing a coral colored dress under a white apron that has embroidered seedlings at the hem. She has coral colored sandals and is holding a little coral colored rose. 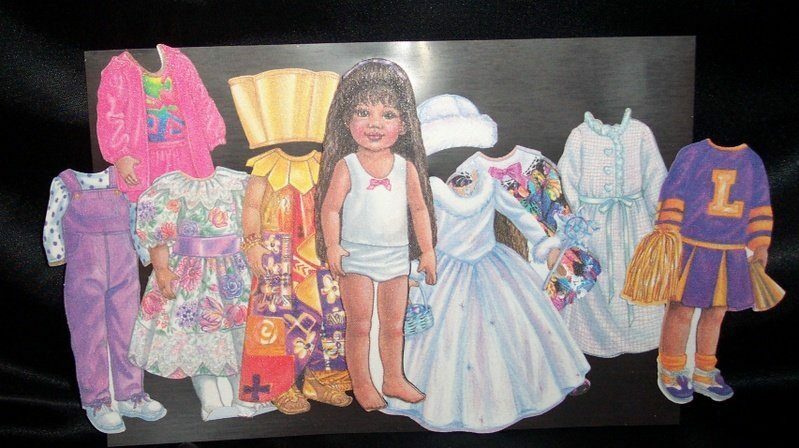 This doll has a paper hang tag, but I believe it is actually for her brother Little Tiger.